One of the best in the business went down on Sunday as A.J. Green suffered a severe hamstring injury. Many fans and fantasy players were devastated by a loss of that magnitude. The fantasy aspect has to be addressed by looking for someone to fill that roster spot. While the stats cannot be replaced, there are productive players out there to be picked up. Hill was one of the more productive players on the Chiefs Sunday, it was just a low scoring game. Perriman did not see a single target; I’m not sure where to go with that. There is still a ton of potential with Perriman, but I don’t see how anyone could start him anytime soon. The Bears are done and Cameron Meredith may be as well. Jay Cutler is gone for the season, so Meredith may not see many passes. On the other hand, there should be plenty of garbage time for Chicago. The Steelers did not muster a lot of offense on a windy day in Cleveland, but I like Rogers going forward. The Bengals lost A.J. Green to an injury Sunday and there is a good chance that he is done for the season. There is not a player on the roster that can replace Green, but Boyd did look good in relief catching 6 balls for 54 yards and a score. Odds are the Bengals offense is going to struggle after losing Green and Gio Bernard, but there will be a lot more touches to go around for the remaining players. Boyd should see the biggest boost, with LaFell also getting more targets. The Titans passing game is on fire and Sharpe has been one of the big beneficiaries. He has had over 50 passing yards in three straight with touchdowns in the last two games. Rishard Matthews and Delanie Walker are options 1 and 1A, but Sharpe is finally getting some looks from Mariota. The caveat here is that the next game is against the Bears, where DeMarco Murray may do most of the heavy lifting. Then the Titans have a bye and two tough matchups. The talent is there, but the opportunity may decrease. If anyone has a shot at replacing A. J. Green on Fantasy rosters, it would be Watkins. The Bills star receiver has not started practicing yet, but rumor has it he is getting close to a return. 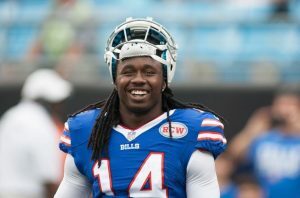 Watkins is an absolute game breaker when he is healthy, and the Bills need receiving help in the worst way. While they will not rush him back, it is looking like week 13 is potentially a target date for a return. This is a player that could win the fantasy playoffs for you if he comes back healthy. Teams with room should absolutely stash him and hope for a swift return to the playing field. There have been a lot of players dropping Coleman as he has not been productive since returning from injury. A lot of that can be blamed on Cody Kessler who struggled mightily in the last few games. There is a short history of success for Coleman with McCown at quarterback, however. The game that looked like it would be Coleman’s breakout came with Josh McCown throwing him the ball. 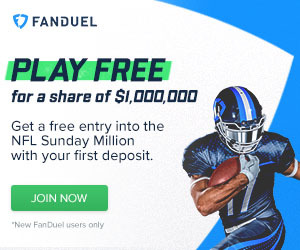 This may be a reach, but there should be plenty of garbage time to fill with deep balls to Terrelle Pryor and Coleman.